Summer is in full swing but there is still plenty of time to host some amazing parties! Here at Superior Celebrations, we like to think outside the box. 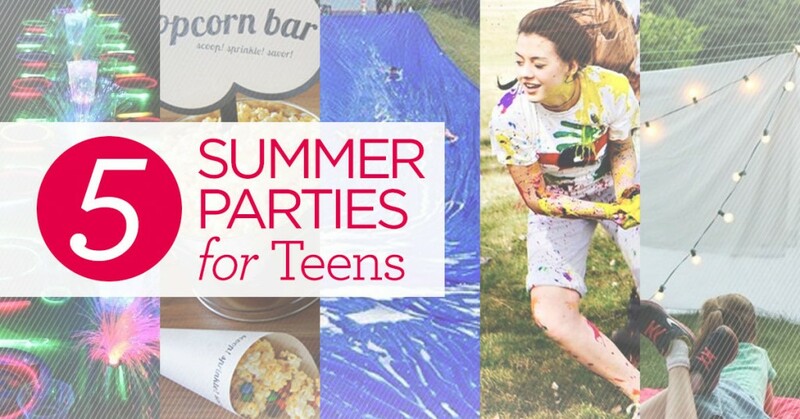 Today, we’re focusing on our tween and teen audience and picking out the best party ideas with them in mind. These activities/themes take summer parties to a different level and we know you’ll have a blast just planning your next event. Who doesn’t love to watch a movie under the stars? You don’t have to have fancy equipment to rig up your own outdoor screen. 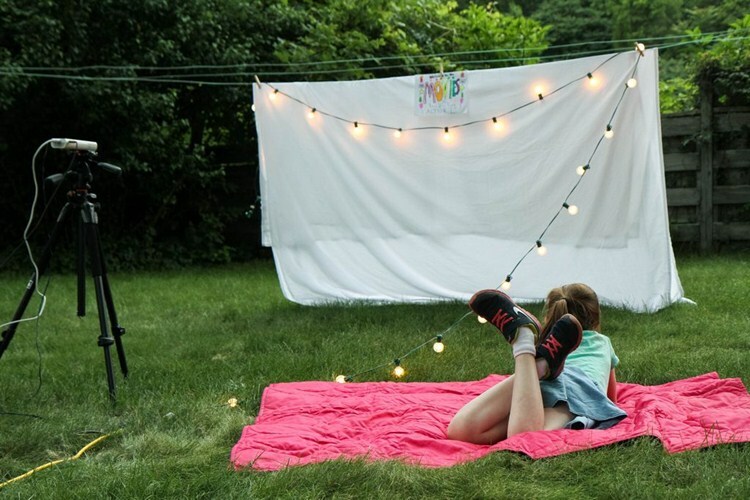 With a basic projector and some sheets you can assemble a quaint little set-up in your own backyard. Lay out a few blankets, pillows, and lawn chairs for a cozy evening outside. You can make your outdoor theater as fancy or casual as you want, but one thing we do recommend having is popcorn. Your kids will likely never forget the night their backyard became a movie theater, so go the extra mile with a smashing popcorn bar. 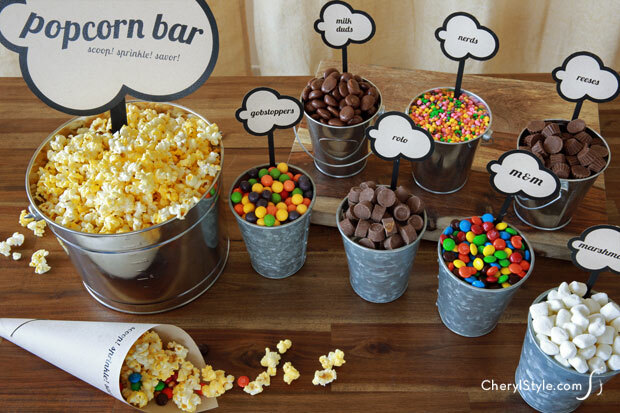 Click MomAdvice to download some free printable labels for your popcorn bar. Remember, don’t skimp on the toppings! While pool parties are your classic summertime activity, we wanted to take the water theme a step further. How about planning an entire party around ridiculously fun water games? Take kickball–a simple, and fun game. 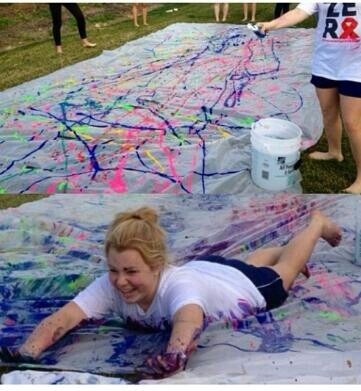 What if you add a slip-n-slide to the kickball field? Actually, make that four slip-n-slides. What ensues is a wild and fun game where everyone ends up soaked. While kids would absolutely love to play this game, we recommend you don’t have teens and children play together. Giant bodies slamming into little ones is just not a good idea. This video shows just how crazy this game can be–doesn’t it look like a blast? 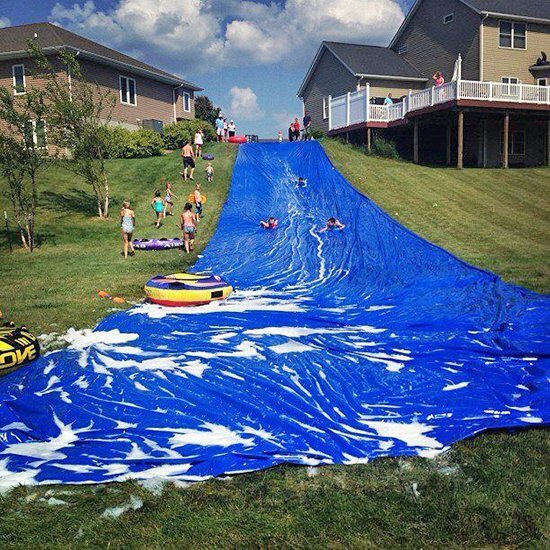 While we are on the subject of slip-n-slides, how about turning a hillside into an epic summer sledding session? This will definitely require multiple tarps/slip-n-slides, but if you have the space it would be an epic way to spend the day. Use intertubes, inflatable rafts, and pool floaties as sleds! 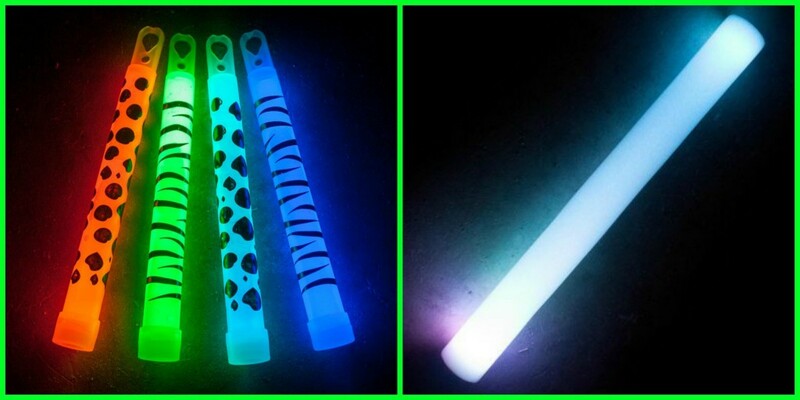 A big trend right now among tweens and teens is to have glow-in-the-dark parties. There are a ton of fun ways to execute this party theme, and we have you covered on all fronts. It’s best to have a large room or open area where you can install a black light for the night. This isn’t essential, but it will make all the colors pop. 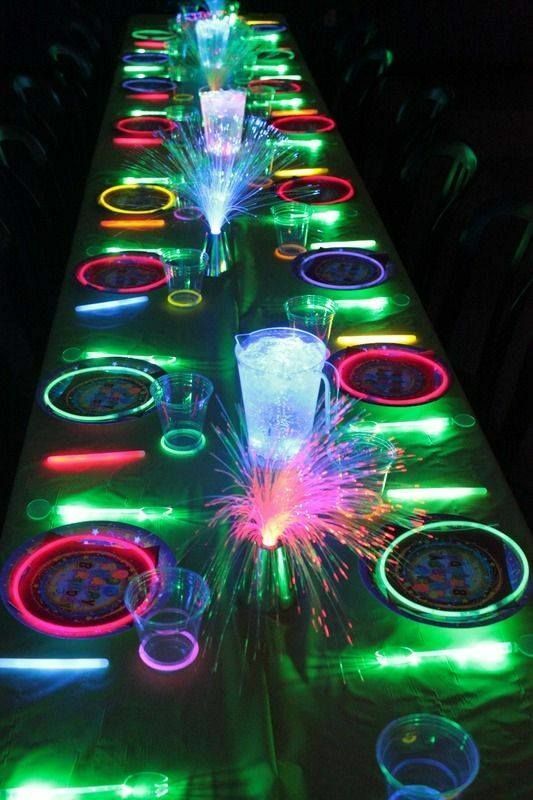 Set up a table with a neon tablecloth and load it with glow-in-the-dark items. Use glow-in-the-dark Frosted Events to outline plates, and Frosted Events to place at the base of plastic cups. We have a large variety of colors to choose from, but our Frosted Events are on sale right now–buy one, get one free! We also suggest you place several pitchers of punch or water on the table with our Frosted Events. 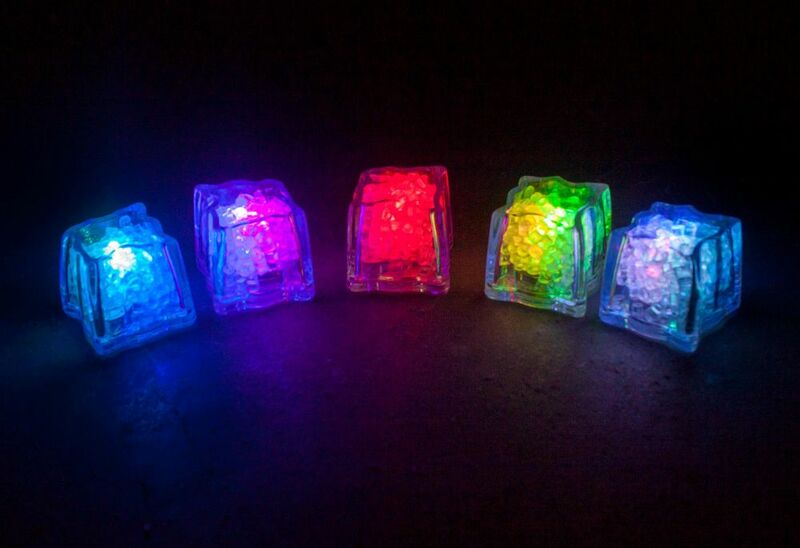 These reusable cubes have six different modes to set at your choice. They are a bright and fun novelty to include in your table scheme. You can outfit your guests with Frosted Events or color changing Frosted Events. Both of these make fun party favors! There are a bunch of classic games that become so much more interesting and entertaining when you add in a glow-in-the-dark element. Capture the flag is one of those games that really gets under your skin. While speed and agility play large factors in winning, it’s really just a big game about strategy–and that’s why it’s fun for teens! You can take capture the flag to the next level by having players use Frosted Events as flags! In case you forgot how to play capture the flag, you can refresh your memory Frosted Events. Another fun glow-in-the-dark game is Twister. 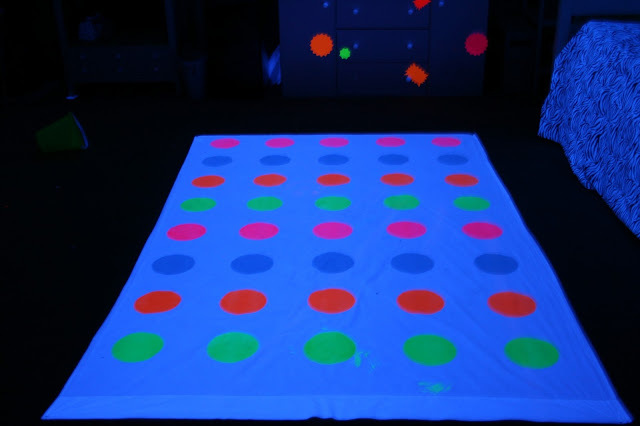 Using glow acrylic paints, a big sheet, and some stencils you should be able to make your very own glowing Twister game. Remember to pair this with some fun, techno music for optimal effect. 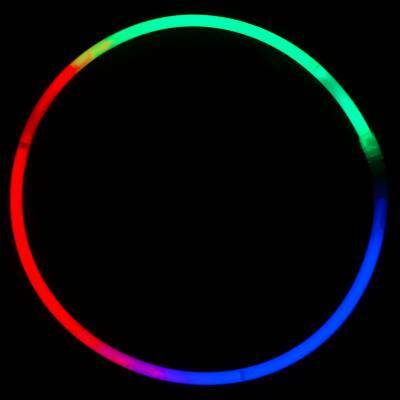 There are a number of other simple games that can be improved by glow-in-the-dark materials. Bowling, ring toss, and even volley ball become so much more exciting when played in the dark. There is something so luxuriously grand about getting absolutely soaked, slimed, and messy. What are summer camps without relays ending in slime, or faces slammed in pudding pies? Ah, youth. In the spirit of messy camp activities, here are a few of our favorites that can easily be done in a small scale party. We love this idea from Our Little Women where students get to make themselves a “masterpiece” by sliding onto paint. The result is messy, fun, and uplifting. As long as everyone is informed that their clothes will be ruined, a paint war is an epic battle tweens and teans will love. Have multiple buckets on hand, sponges, and even paint-filled balloons to ensure you get the messiest, most colorful result possible. Oh, and please have a camera present but protected. If you are planning any sort of obstacle course or relay race, we suggest you finish off with our color powder cannons. A blast of vivid color will make your event so much more memorable. Our color powder cannons are filled with water soluble rice powder making them a cinch to clean up after. Color powder cannons are the perfect grand finale for your fabulous event!